” “Behind the mountains is Area 51 and on this particular day there had been no aircraft activity out of Nellis AFB or Groom Lake. The sun was behind the person who took this picture and you can clearly see this from the shadows on the ground in the picture,” the report says. In an odd move, the unnamed source refuses to name his “contact,” but a name has been stamped on the image. “The contact had forgotten this image until he recently went through some old SD memory cards and came across it just before Christmas. He contacted me immediately and we cannot find any conventional explanation for this sphere” ” [extract from article]. ” Details of the shadowy project are included in Mr Waru’s new book Secrets and Treasures, which also incorporates other bizarre findings from his trawl through New Zealand’s national archives. 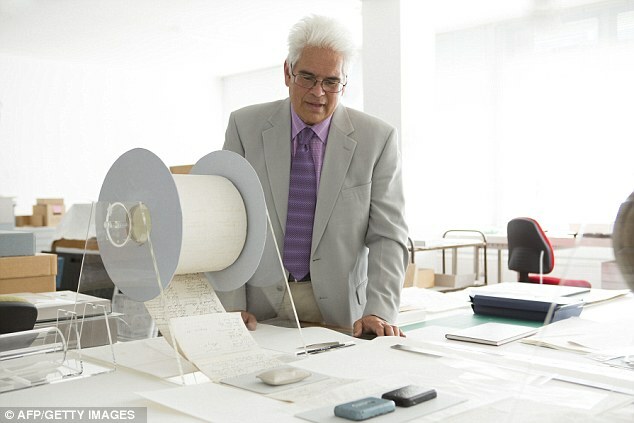 As well as Project Seal, Mr Waru discovered Defence Department records detailing thousands of UFO sightings. Members of the public, military personnel and pilots were among those who reported seeing moving lights in the skies over New Zealand ” [extract from article]. 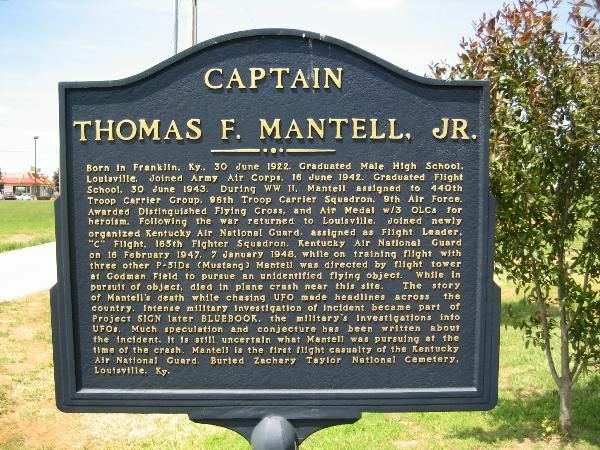 “ Pat Marcattilio of Hamilton, New Jersey, saw his first UFO in Trenton in 1963. The encounter left quite an impression on the man who has come to be known as Dr. UFO. Marcattilio has studied astronomy since 1955 when he was in seventh grade. Now he is president and founder of the New Jersey/Pennsylvania UFO Paranormal Study Group” [extract from article]. “ Pretoria – The glowing orange orbs reportedly spotted over Centurion may have been Chinese lanterns launched to celebrate New Year’ Eve. 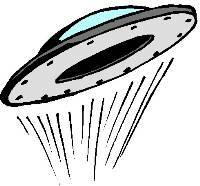 Pretoria News received a number of reports of UFOs but two women have come forward to claim responsibility for the phenomenon. Driekie Van Wyk and Clare Le Roux, who were part of a group of people who launched these Chinese lanterns at midnight on New Year’s Eve, said the lanterns they launched glowed in orange, while others had a bluish tint. But, said Van Wyk, they were not the only ones to have the idea; and she had seen other lanterns also being launched in the area ” [extract from article]. UFO spotted in sky above Cardwell, Australia, by world’s biggest skeptic (International Business Times) -all similar sighting reports will have the ** symbol . “ His sighting was confirmed by fellow Cardwell residents Phil and Helen Mulley. Mr Mulley said: “The lights were bright orange and there was no sound whatsoever. The first night there was just one light and it was very bright. “We thought it was a chopper coming up the channel. It was travelling at about 45 degrees to the horizon. “We watched it for a few minutes and then it disappeared in cloud. The next night my sister rang me and said to look outside. I went and looked and there were two lights. We watched them for a while until they disappeared in cloud ” [extract from article]. ” Pensioner Ray Johnson claims to have photographic evidence of their presence – and says they often come in large numbers. “I’d rather people called me a crackpot than ignored it,” he told The Herald. The former council parks police officer says he first spotted the UFOs from the garden of his home at St George’s Avenue, Millwey Rise, about a year ago. Since then he has kept a detailed log of his sightings, some of which have been corroborated by his daughter, Alison ” [extract from article]. UFO digest have a newsletter out… you can read it here . Prychodzko contacted and gave his video to Cody Stark of CBS 13’s “Good Day Sacramento” program. “It’s his camera phone shot through a telescope lens, so we zoomed in and slowed it down. It certainly looks suspiciously like an explosion,” Stark said on the news report. Stark then sent the video to Stephen P. Maran, author of Astronomy For Dummies ” [extract from article]. ” “I suspect we’re not dealing with a UFO in the sense of something of an alien nature,” he says. “Orange lights are often connected with people making hot air balloons out of garbage bags. Mr Chalker says “hundreds and hundreds” of cases exist of glowing garbage bags being reported as something suspicious ” [extract from article]. ” “We receive on average about 100 sightings per year in Queensland, during the ’90s, we were a lot busier, we used to get between 500 and 800 per year,” the Jindalee resident said. There have been at least two reports in the northern Queensland of Cardwell, about 165 kilometres north of Townsville, of mysterious lights flying in the evening sky. The lights were seen at least two months ago, but witnesses have just come forward ” [extract from article]. An article on the same sightings can be seen here by gather.com ** (including video).Article written on 3rd January. ” It would be helpful if there were some video or photographs, because all you have is this fellow’s description. He said the craft appeared around dusk above the beach on Dec. 30, and it was triangular in shape. 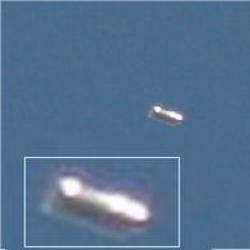 The eyewitness also noted the anomalous object was soundless, so that would rule out some type of conventional aircraft. There’s no chance this was a weather balloon, because it was moving too fast ” [extract from article]. ” More than 65 years after Roswell became the top location in UFOlogy, believers in UFOs have come to be seen as a little… kooky. We joke about probes and little green men, brushing off stories of close encounters as made-up. We may want to believe, but most of us go through our lives safe in the knowledge that we’re the sane ones – and the people who think aliens have visited earth are clearly silly, misguided and delusional ” [extract from article]. “ Developed by Aeroscraft, the 230-foot-long prototype airship called the Pelican is designed to lift up to 10 tons of cargo across long distances, using a fraction of the fuel needed by an airplane. 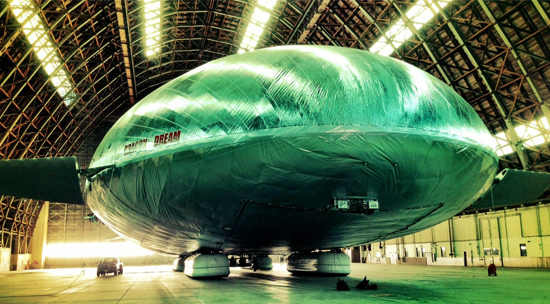 The airship, which, interestingly, looks a lot like a flying saucer, has been in the works for several years under the guidance of the Pentagon’s Rapid Reaction Technology Office. In addition to cargo missions, the Pentagon also envisions the airship as a potential tool for surveillance and reconnaissance missions ” [extract from article]. ” In 2012, areas in Woodley, Atherton, Hulme and Droyslden were all reported to have UFOs lighting up the sky, a freedom of information request made by Mancunian Matters revealed. Descriptions including ‘a full ring a lights’, ‘huge bright yellow, green and red lights with a huge beam’ and ‘gold and glowing lights’ were reported to the police in 2012 and were later listed as ‘unexplained’. 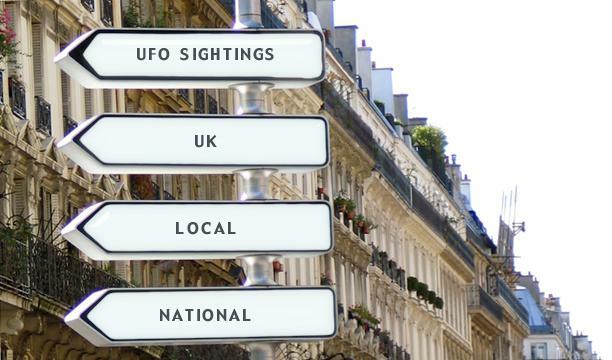 Stephen Mera, 45, chairman of Manchester’s Association of Paranormal Investigators & Training, said: “UFOs have a tendency to gravitate towards certain facilities such as military and chemical sites and airports. Manchester has had a high level of UFO sightings over the years ” ” [extract from article]. “ It’s October 1954. A game between Fiorentina and nearby rivals Pistoiese is under way at the Stadio Artemio Franchi. A crowd of around 10,000 has gathered to watch. 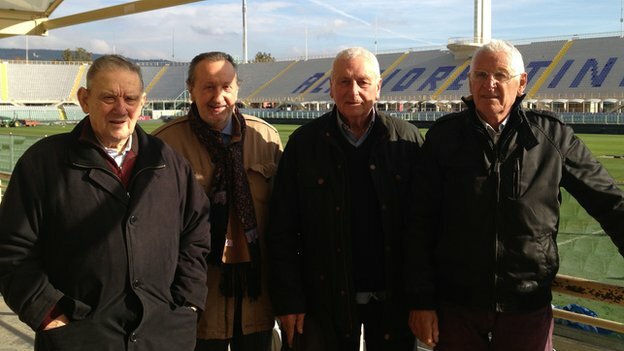 Among them is Fiorentina fan Gigi Boni. Now in his eighties Boni still has vivid memories of watching in disbelief as UFOs hovered above the stadium. “I remember clearly seeing this incredible sight. They were moving very fast and then they just stopped. It all lasted a couple of minutes. I would like to describe them as being like Cuban cigars, in the way they looked.” The stadium fell silent as the players and fans stood transfixed, staring at these strange objects in the crisp blue autumn sky ” [extract from article]. The BBC article can be seen here . I was not aware of this at all. Also a podcast can be listened to about this event under keshi hits out at white coaches in Africa . It is only available for the next 30 days,but can be downloaded if required. Then a second, identical, object was seen. “Then a second object following the same flight pattern came out of the area. I was able to watch the entire path of the second object. and after a few seconds, 30, 40 seconds or so, the flight path changed to gradually turn toward the horizon, and then simply disappeared ” [extract from article]. ” A purported UFO explosion over Sacramento has been explained. What was widely speculated as an alien spacecraft, military weapons test or an asteroid on collision course with Earth shot down by the Air Force, has been confirmed to be a weather balloon” [extract from article]. ” John White, Founder of American Piledriving Equipment (APE) and a Normandy Park resident, has stepped up to pile on the majority of funding for an historic local UFO conspiracy movie that will begin filming this year. 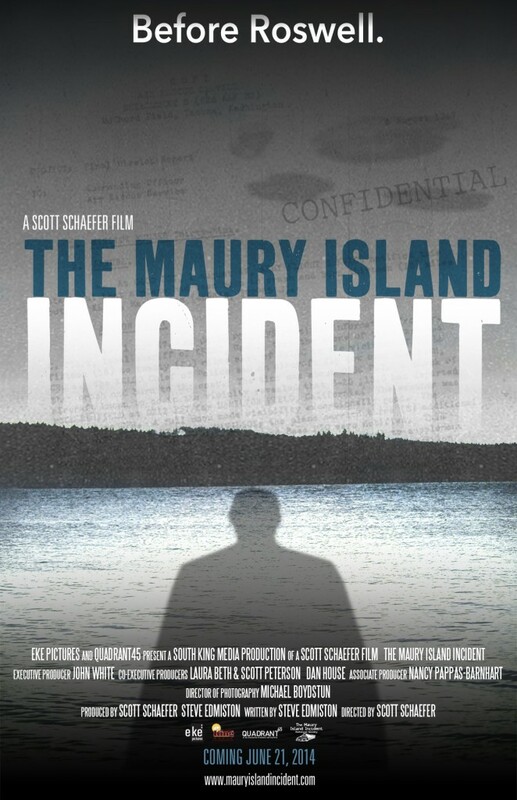 The film – “The Maury Island Incident” – is based on the true story of Harold Dahl’s UFO sighting that occurred off Maury Island on June 21, 1947, considered by many to be one of the first modern-day encounters. This incident – which has never before been turned into a film – happened just two days before Ken Arnold’s historic UFO sighting, and 16 days before the infamous Roswell crash ” [extract from article]. ” Witnesses described the UFO seen after dark Tuesday as the size of two or three cars, and roughly diamond-shaped, or even triangular. It was visible because of its dim white lights. One woman said it was only 75 to 100 feet above her car ” [extract from short article]. ” As 2012 ended and 2013 began, numerous UFOs were reported around the country — nothing earthshattering there — but what about alleged unidentified objects seen in space near theInternational Space Station(or ISS), a couple of hundred miles above Earth? Videos have cropped up on YouTube showing images taken by NASA cameras of objects of different shapes, some moving very slowly, others rapidly hurtling through space. What, exactly, are we looking at here? Alien spacecraft dropping by for a visit with the ISS? Reflections from ISS windows? Meteors? Or various types of orbiting or fast moving spacecraft-generated debris? ” [extract from article]. ” Fresno is the first of several stops in the U.S. as Swedish TV investigates paranormal activity in three different states. Swedish television host Adam Alsing has never seen a UFO and hopes his luck will soon change. “We come here with our eyes open to this area because there’s been lots of sightings of paranormal stuff. 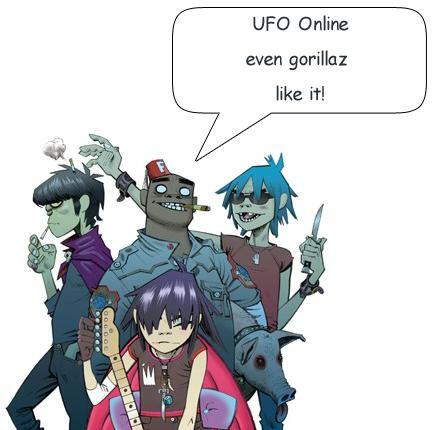 UFO’s, big foot even. So as we come here and we hope to see something” ” [extract from article]. ” The unidentified flying object was described as a series of red lights in the eastern sky above Mudgeeraba on November 22. It was reported by a man who spotted it along with his neighbours as the lights moved through the sky for more than 20 minutes before disappearing. A separate report was also sent to UFO Research Queensland from a Mudgeeraba woman who claimed to have seen the same phenomenon, which performed a series of manoeuvres. UFO Research Queensland’s Sheryl Gottschall said the sightings were important in the search for otherworldly life ” [extract from article]. Oil Rig Workers near San Antonio see lights they believe are from UFO (kcentv.com) +video. ” Workers at a fracturing well in the Eagle Ford Shale drilling region, just east of San Antonio, say they saw unidentified lights on consecutive days in October. And what’s more, they’ve got them on video ” [extract from short article] .